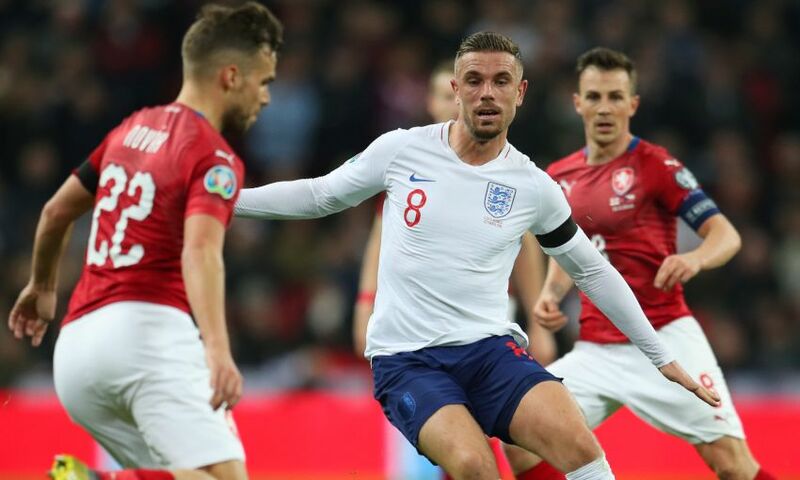 Jordan Henderson played the full 90 minutes as England made a fine start to their Euro 2020 qualifying campaign with a 5-0 win over Czech Republic at Wembley on Friday night. The Liverpool captain, who missed last Sunday’s 2-1 victory at Fulham due to injury, returned to action and was an impressive performer in the middle of the park. Gareth Southgate’s side eased to success through a Raheem Sterling hat-trick, Harry Kane penalty and an own goal. Elsewhere, Rhys Williams made his debut for England U18s in their 1-0 loss to Czech Republic in their second game of the UAE Sport Chain Cup. Williams and Bobby Duncan went the distance while Curtis Jones came on as an 86th-minute substitute during the match in Dubai. The Reds trio are set to be involved in the final fixture of the tournament on Sunday when England U18s face Mexico.